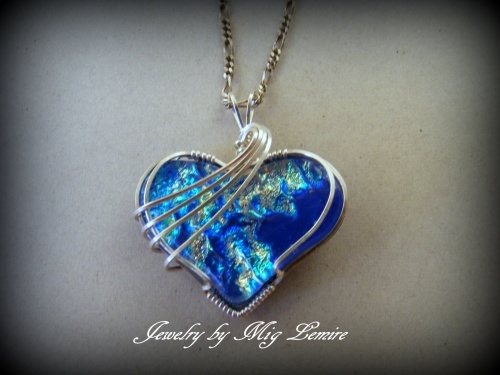 This beautiful handmade dichroic heart has a rainbow of colors overlapping the deep blue background. One of a kind and elegantly wrapped in sterling silver. Piece measures 1 1/2" long and 1 1/4" wide. Comes with a sterling silver chain.